Simply put, it is an acronym that stands for Psychogenic Non-Epileptic Seizures. It is 25% of the seizure cases that the Calgary Epilepsy Program sees. It can go un(mis)diagnosed (meaning you are being treated for Epilepsy) on average between 7-20 years. It is essentially what comes with Epilepsy without the Epileptic electrical brain activity. It is a convergence disorder, that 90% of the time is associated with Post Traumatic Stress Disorder. There is a freedom, and a fear in knowing what it is, the freedom is that you do not need the harsh anti-convulsion or anti-epileptic medications (unless it is co-occuring with Epilepsy), the fear is that treatment is a journey within your own self. 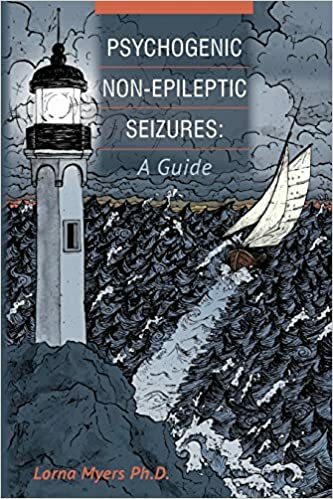 Lorna Myers Ph.D (2014) Psychogenic Non-Epileptic Seizures: A Guide is an exploration of the basics. 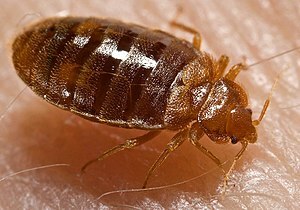 It aptly points out that in one point and time in history these were known as pseudo or hysterical seizures (and even demonic possession), which is a misnomer as they are not false but the physiology of the person experiencing them they are real. Though I must admit watching a serial killer documentary with the wife when the Cannibal stated that it was pseudo-seizures, did cause me to almost do a spit take. I digress however. I was a lucky one, it only took about 2ish years to diagnosis, and this was after finally getting the gold standard of testing, the observed EEG in hospital with audio and video. That was in September 2018, and in February 2019 I entered into the psycho-therapeutic treatment. It is two pronged, as there is also going to be in depth intervention for PTSD later. Myers does allude that PTSD treatment should come before PNES treatment. I wrestle with that, because if one cannot control or mitigate the dissociative and/or convergent episodes, how are they going to root out the memory ingrained pain to heal appropriately. To each their own, but this inversed path appears to be working. Myers text for the laity (or patient) walks you through treatment options. That range from Talk to CBT to DBT to exposure therapy, each step of the way pointing out the need for this to be happening with an appropriately trained mental health practitioner in PNES. She points out the role a psychiatrist, psychologist (Ph.D.) and possibly, social worker would play in each role. In a typical American based fashion she gives a nod to continue working with adjustments while working through the PNES treatment (if possible is a side note). What is needed though, in my opinion, is a grasp on something that gives meaning. Myers notes if one cannot work (as in my case due to the PTSD being linked to the work) then to find meaning in life elsewhere…for me it has been my family, my writing, and a renewal in my reading, and a safe zone in our home church. The walk will also take you through the role Anger, Depression and Anxiety play in exacerbating the PNES, but also that in the case of Anxiety there can be other psychogenic effects to your system as a whole. It was a good notation, as the wife and I had noticed an increase in frustration and anger over this time. In the complementary treatment section it explores the pros-cons on one’s health of herbal and health supplements, touches on spiritual practice, yoga and Tai-Chi as being beneficial to centering, grounding, and releasing of stress tensions. Basics around healthy diet, good sleep hygiene, hydration as well in the healthy body section. Myers shares some online resources she has created as well. It is a beginning point of a journey, that encourages self-exploration. Not everything everyone will suggest will work for you. Part of the journey of understanding the triggers and precursors to events, working to interrupt and cessate the events, is discovering what works for you. It is introspective work. It goes deep, because like Gremlins and Saboteurs in life coaching, the episodes have a benefit to your system. For me it is about efficiency is a word that keeps coming through. I strove so hard to protect my friends and family from vicarious trauma of the work I did, it became so internalized that when something went awry, the efficient way for my body to expel the crud is through convulsion. There is a fear of what lurks beneath, but also a fear that is created within myself and my family as a result of the episodes. In a way, the efficiency my biological system created to protect me, has created a system that can traumatize, doing the direct counter of what I was seeking to avoid. Even though it may feel on the journey like there was a freedom, it was a false freedom, for instead of integrating and processing the pain. As the glue that held teams together, that ensured everyone was taken care of, in the moments when other crisis would arise I would compartmentalize to come back later, something was missed within my own soul. For the new-best me, awaits on the other end for my soulmate, and kids…and for me. What are 3 things you are grateful for in 2018? What is something you learned in 2018? What is a new (or renewed) piece of self (soul) care you will take with you into 2019? And yes, for regular readers, this can be part of a daily examin exercise so the day reflected on just doesn’t become a “how did I screw up today list”…which is not the purpose. A random collection of thoughts that don’t really fit anywhere else. What one would term a true free fall if you will. Letting the thoughts tumble out of your head. The joy of Boxing Week movie bins brings you John Wick 2. A sequel due to well John Wick doing so well. It is much of the same on this assassin’s journey to escape his past life that just won’t let go. Where Wick 1 would be a 4/5; I’d say 2 is about 3.5/5. Fun, but the originality has worn off. The ending is pure production company where it could end there, or leave the door slightly ajar for a 3 depending on box office. From Star Trek: The Next Generation season 3 gem’s (thanks Netflix). “Deja Q” that brings up the ultimate philosophical question what makes one human? This is not done through the usual foil of Data, but rather the Q-tinum has grown tired of Q’s chaos across the universe and punted him, his last thought was to be human. He is now on the Enterprise, and trying to discover among many things the joy of 10 chocolate sundaes, what it means to be human? (oh and feeling pain, and fear of death). “Yesterday’s Enterprise” is a time travel episode, where a past Enterprise-C is thrown forward, and due to not completing its rescue mission the new reality is a timeline at war with the Romulans. It is the episode that brings Tasha Yar back to life, and the deeper question about life…what happens if a death doesn’t mean anything? How does one ensure their entire life from cradle to grave has meaning? I do know it was an empty death, a death without purpose. The newest Stephanie Plum novel by Janet Evanovich finally made the pick up shelf at my library. I discovered Evanovich during my time working at Smithbooks, and then Coles, at Sunridge Mall way back when. She has a quirky-dry sense of humour for her Trenton, NJ lingerie salesgirl turned bounty hunter with the former working girl sidekick Lula. Look Alive Twenty-Five brings the between the numbers mystery magicus, Wulf, to the numbered books as he involves himself in a weird mystery. Plum & Lula are now managing a deli, where managers have a tendency to vanish by the dumpster leaving behind only 1 shoe? And what does a grunge-rock band, a pickled senior wanting her cat back, and a chicken breeder that runs a breakfast burrito truck have to do with the mystery? Oh and as always there is Ranger and Morelli, attempting to keep Plum safe from Plum luck. I’ve had a love-hate relationship with Paramount’s Star Trek movies reboot. To hear though that the fourth may be scuttled because of Pine and Hemsworth not signing on, I think is a loss on what could be a new direction. Off-camera promote Kirk off the Enterprise. Make Sulu the captain, you can do either a Harry Mudd as antagonist movie, or a Guardian on Edge of Forever movie. I did not find Pine embodied Kirk, as well as the other cast had taken to their roles, and seeing Sulu as captain would allow for new helms and navigator, with where CGI is at would be great to see Arex come to life on the big screen. Ontario Federal riding of Leeds-Grenville-Thousand Islands and Rideau Lakes by-election was no surprise with the Conservatives holding this extremely safe party turf. What was a shock was the 24 votes seperating the deadlock for 3rd place of the NDP and Green Party. It could be a sign that the supporters of the Greens (really a Red Tory-Blue Grit party to use old vernacular) may not abandon their party at the polls. The Greens have always polled decently between votes, but on vote day have a knack to collapse. Here’s hoping 2019’s federal election can see them scoop votes from both the old 2 mainliners and present well, the diverse voice is needed in the House of Commons. Finally, it was worth the wait. The Equalizer 2, Robert John McCall is back after Denzel Washington’s first tour in the film reboot of the old television series. This time the fun has a bit of international flare for the man who sends the most convoluted mixed messages when attempting to help. It was worth the wait, and is definitely a good movie that holds ones attention. From the subplots of the help he spreads throughout the main plot of the movie as someone strikes close to home for him. A bit more of his mysterious past is revealed (and yes I am trying not to give away spoilers). Though flour ignites beautifully. May your 2019 be better than your 2018.